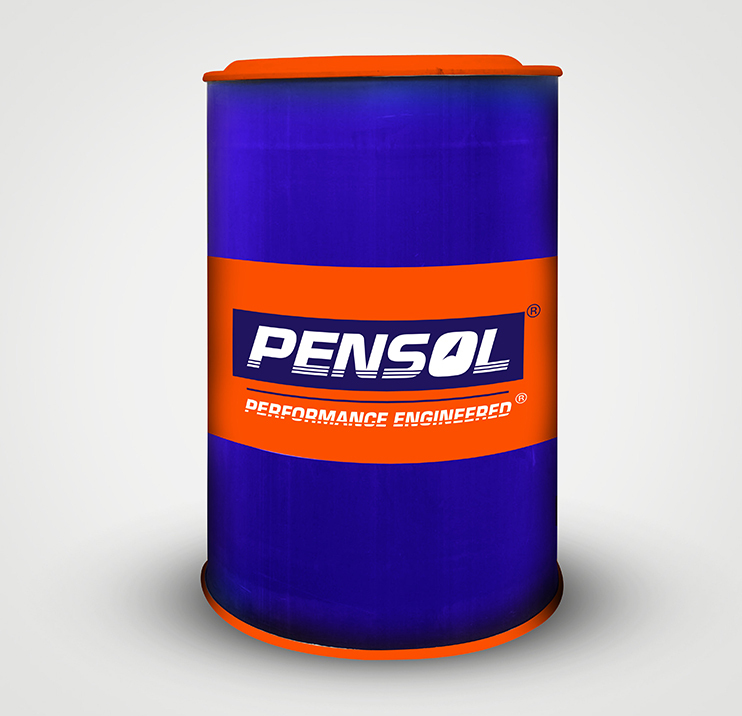 PENSOL PENGOLD is multipurpose oil suitable for many applications and are made out of highly refined solvent base stocks and chemical additives like antioxidant, anti-wear, anti-rust and defoaming agent etc. It is approved for the code R8 R9 of ECB 573/2 of Atlas Capco compressor. These products may be used in reciprocating air compressors where the air discharge temperature is below 200°C. These products perform well in stationary slow speed diesel engines where non detergent oils are recommended. These products perform well in general lubrication like bushes, open gears; open bearings provided correct viscosity is chosen. High oxidation stability and good filterability helps to increase the oil drain interval and keep systems clean. A good anti-foaming property inhibits cavitation issue and increase equipment life. An excellent anti-rust property reduces the replacement of components.